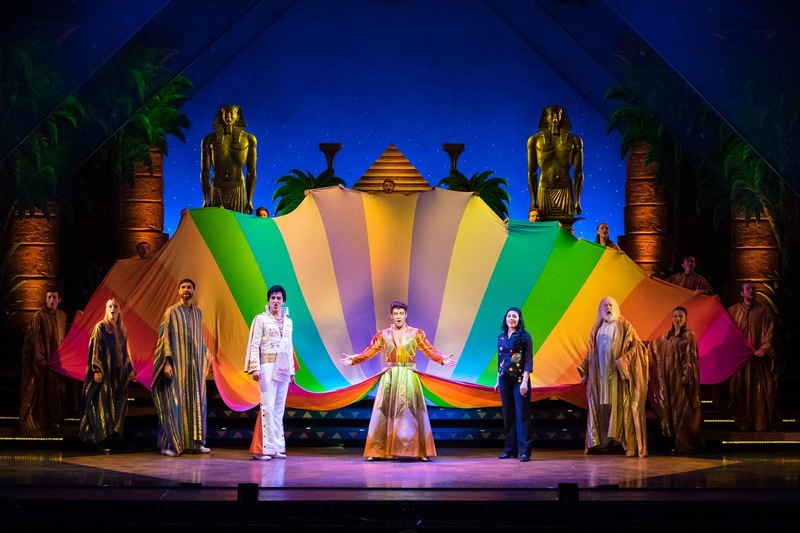 A technicolour spectacle is promised by the cast and crew of Joseph and it is duly delivered – to rapturous applause. Telling the classic Old Testament story of the favourite of Jacob’s 12 sons cruelly cast out in a fraternal coup, at the heart of the dark tale is a celebration of hope and dreams. The role of Joseph is brilliantly filled by Joe McElderry, the former X Factor winner seeming right at home on this stage and switching effortlessly between jovial and heartfelt in his performance. McElderry’s voice is magnificent, bringing the audience to its feet during act one’s Close Every Door and then again during the reprises. Bringing a youthful vibrancy to the stage, he is made for the part. The maddeningly catchy songs from the well-known show have the audience singing along throughout. The children’s choir from Carmel Thomas Performing Arts never miss a beat and add a delightful tone to the musical. There are moments however when the orchestra overpowers the lead vocalists and the audience struggles to keep up with the story. Bill Kenwright, the impresario himself, directs so the comedy is plentiful with both visual and verbal gags. When Joseph hops into a boat with his captors, the three actors move the boat along with synchronised footwork; as he deciphers Pharaoh’s dream, a thought bubble appears above his head and when Jacob and his sons sing about the devastation caused to them by the famine, the number is bizarrely set in Paris, complete with exaggerated French mannerisms and accents. Bonkers certainly, but it works with great comic effect. Emilianos Stamatakis delivers a sterling performance as the Elvis-inspired Pharoah and a nod too to Lewis Asquith, who makes an excellent and highly engaging Butler. Asquith also pops up as one of the sons who, as an ensemble work brilliantly together, executing some great choreography (Henry Metcalfe). Nick Richings’ lighting also ties the show together well, adding a colourful dimension to the production that neatly offsets the story’s darkness. There is more than a hint of pantomime in the production and the audience in Bromley on a Tuesday night was only too eager to get involved. 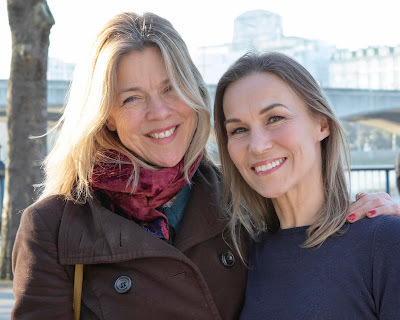 An uplifting and joyous experience!